Large Popcorn, No Butter: Despicable Me 2: Kristen Wiig is Taking Over the World...And That's Okay. 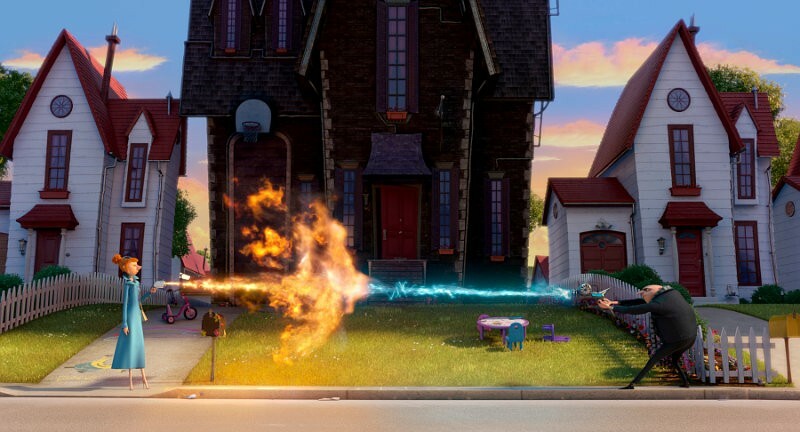 Despicable Me 2: Kristen Wiig is Taking Over the World...And That's Okay. Felt like I was in high school again this past Friday when I went out to see Despicable Me 2 with my boyfriend and his little brother (just to clarify, his "little" brother is a 6'2 sophomore in high school, and yes, we are all nerds). 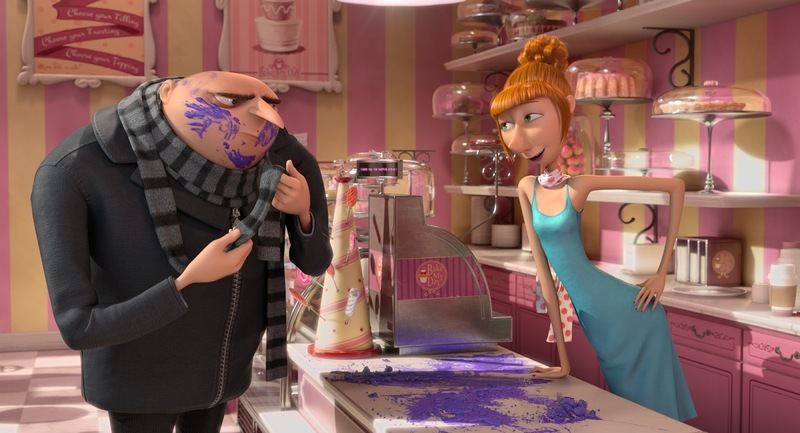 Plot: Gru, now a single dad, spends his days looking after his little ones and (unsuccessfully) trying recipes for various jams and jellies that he hopes to sell. When he is suddenly kidnapped by a woman who ends up working for the Anti-Villain Agency (or something), he is then recruited to reach back into his darker days and try to help them find a villain that has been tampering with a top-secret serum that turns cute things into monsters. Bonding with the woman, named Lucy (Wiig), he finds that maybe his feelings for her are a little more than professional. And of course, bringing up the rear are hilarious characters such as El Macho (who was rumored to be the most manly man in the world, dying as a result of being tied to a shark strapped with bombs that landed in an erupting volcano, hahaha), Dr. Nefario, and the three little girls (with a special emphasis on Agnes; omg so cute). Could he finally have met his match? Hmm, what to say. Did I like the movie? Yes. Was it funny? Yes. Was it hilarious even? Yes. But was it as memorable as the first one? Impossible. Unfortunately for kids' movies, I think that sequels' screenplays and plots tend to revolve around events and not necessarily character development. What makes the original Despicable Me so hilarious is the fact that Gru is so grumpy and hateful in the first half and then finds his mushy side when he decides to adopt the three girls. This is missing in the newest edition. 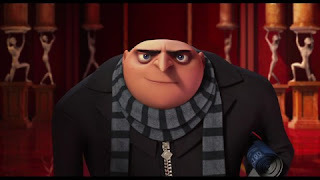 Gru, instead of being his regular hateful self like in the last one, is made to find compromise between being a grump and the kind-hearted man that he discovers within himself in the first film. Therefore there isn't much to expand upon character-wise besides highlighting his romantic side (which has always been decidedly awkward). Who better to match his awkward turtley-ness than the Queen of Awkward, Her Majesty, Kristen Wiig. Wiig definitely brings the humor in her first heavy role in a kid's movie. However, her flighty/spazzy sort of humor doesn't really add much depth to her character either and we're sort of left with a cartoon romance. 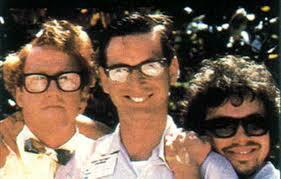 Which, I guess isn't a big deal since it's a kid movie and all, but it doesn't make the film particularly memorable. I would've liked to see them stir up some conflict with Gru going back to his evil ways or something a little more interesting. However, the minions (as always) really beefed up the chuckles and I was laughing the whole time regardless. Not bad, Dreamworks. Solid 7 outa 10.